Purple swamp hen. I had to go for a drive to find one...we had swans, ducks, grebes, coots, moor hens galore, and even a heron within walking distance, but no bloody swamp hens. Good effort! 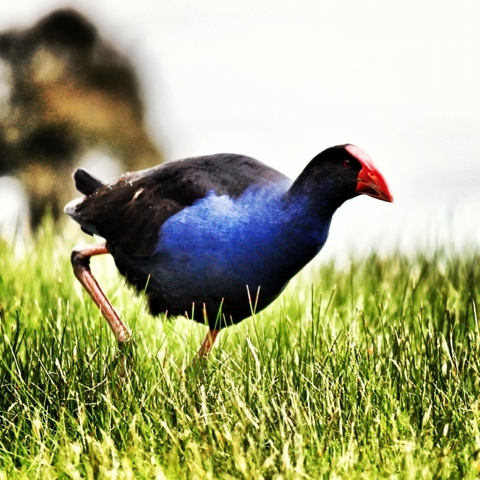 These are called pukeko in New Zealand.